Unless you have an outboard steering arm, a boat steering wheel is required to direct your boat in the correct direction. They come in a range of shapes, sizes and materials for large or small boats. 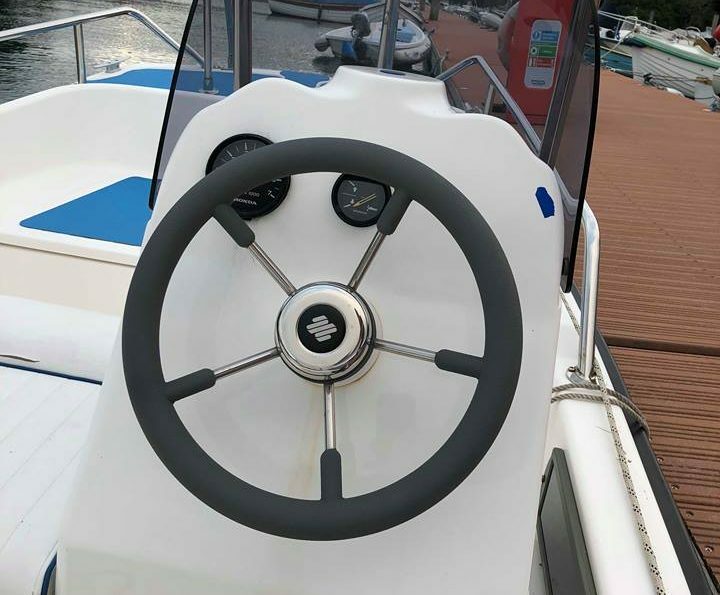 The best boat steering wheel is the Stainless Steel Pactrade Marine Wheel with its high quality look and feel that include a turning knob for ease of steering. A steering wheel system uses a helm, bezel, steering cable and of course the wheel in order to steer the boat. However, if you are simply switch the boat steering wheel over, it is a fairly simple upgrade without the need of touching the original system. The styling of the boat steering wheel that you choose is completely up to you with wooden and stainless steel being highly desirable. They do however come with a larger price tag and if you are looking for a cheap steering wheel, the rubber or plastic alternatives are highly durable. The size of the steering wheel for your boat often runs in parallel with your boats size. For example, smaller boats opt for a smaller steering wheel and vise versa. Some boat owners like to keep spares when their boat is not in use but many simply just want to upgrade. Below is a list of the best boat steering wheels that include a range of materials and features to choose from. The Pactrade is a stainless steel boat steering wheel that includes a turning knob to help steer your boat in the right direction. It is 15 1/2 inch diameter, 7/8 inch tube diameter with 5 spokes, which looks very classy. Being stainless steel, it is highly durable and resistant to rust from the harsh marine environment. One of the best things about this steering wheel is that you would think its expensive but its actually very reasonable priced unlike many other competitors. Overall, the Pactrade Marine Boat Stainless Steel Wheel is the best boat steering wheel you can buy, which will improve the looks and feel of any boat. The Amarine Made steel wheel is a mix of stainless steel and foam grip that also includes a turning knob. The main advantage of having both stainless steel and foam is that during the hot whether, you will not burn your hand on the steering wheel. It is a small boat steering wheel with a diameter of 13-1/2 Inch and is more suited to the smaller boat. It is rated slightly lower than the Pactrade Marine purely because overtime the black PU foam grip may wear but this isn’t really something to worry about for the average boat owner. For the money, it is the best boat steering wheel for small boats but could also be used for bigger boats if you prefer this size. The mixed stainless steel and PU foam is the best in its class and you will not be disappointed. The Attwood Marine 8315-4 is a soft grip small boat steering wheel made from PVC, which is weatherproof and highly durable. It has a diameter of 13 inches and will fit standard 3/4 inch shafts. It is by far the best cheap boat steering wheel and is a very easy to replace for a quick improvement. There are 4 spokes that are easy to hold and maintain the construction of the wheel itself fairly easily. If you want a cheap steering wheel for your boat, the Attwood Marine 8315-4 is the best option and will offer you many years of steering. The SeaLux is a 3 spoke polished stainless steel boat steering wheel that will fit all standard 3/4 inch shafts. It has a diameter of 13 1/2 inch with a 3 1/2 inch height. Like many of the alternatives, it includes the all important turning knob and is highly rated in terms of quality and styling. If you are looking for a simplistic yet high quality boat steering wheel, the SeaLux is exactly this and will add value to your boat as well as being long lasting. A wooden boat steering wheel will have a divided opinions in terms of their looks but many are in favor (including myself). When buying any wooden steering wheels, be that for your car or boat, its crucial that you do not go cheap because these will be low quality and look nasty in general. It is a small boat steering wheel at 12.5 inches and it uses a billet adapter in order to install it. It is expensive but it is very high quality and specifically the wood, where no expense was missed. It is by far the best wooden steering wheel for your boat. When you are out to sea in your boat, you will spend the majority of your time steering the boat. Therefore you want the best steering wheel for your boat that will look and feel great. 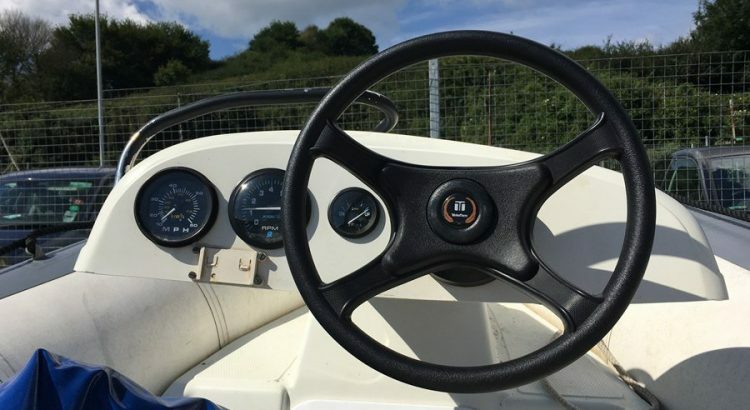 There are many similarities between a boat and car steering wheel but the main difference is that the boat wheel will need to be much more durable and survive damp environments. The majority of automotive steering wheels are made from leather but this would not work in a boating environment. They could probably last a few months but the condition will deteriorate fairly quickly unless its keep inside a cabin and maintained. The majority of boat steering wheels are made from stainless steel, PVC/Plastic, wood and hard rubber. These are all water resistant materials that are very durable. A boat steering system uses a wheel, helm, bezel and a steering cable where the majority are the same from boat to boat. There are many highly recommended steering wheel kits for setting up the steering system from scratch. In terms of replacing the steering wheel of your boat, it is fairly simple but may need a bit of brute force. If you are yet to install a system, you will need to find the best boat steering system for your requirements, that be hydraulic, rotary or rack type of system. Hydraulic is mostly used for high performance boats whereas the others are mechanical and much cheaper. You will notice that a lot of the above recommended boat steering wheels have turning knobs. This make it easier to turn the wheel using one hand so that you can concentrate where you are going. However, some boat owners feel that it spoils the look of the steering wheel and can get in the way. For example if you are a speed boat owner you probably wont need this as at full speed, the majority of the time you will have both hands on the wheel. The argument for having a larger steering wheel is for ease of steering. You are able to get more precision with the a larger diameter over a smaller steering wheel. However, you still want your latest purchase to look great and putting a large steering wheel on your small boat can look silly. 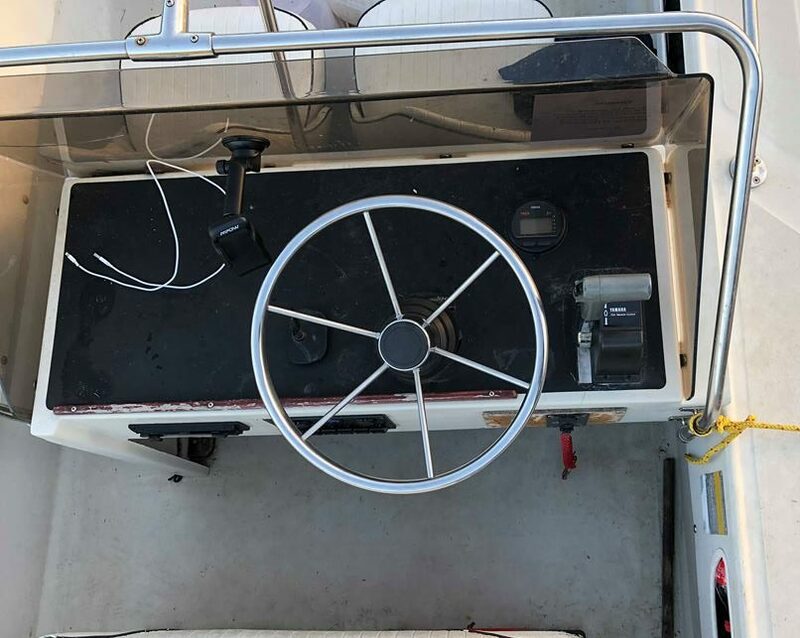 The boat steering wheels mentioned above are all average sized but there are models that are over 20 inches in diameter than would only be suited for large boats.